Iranian cartoonist, Hadi Asadi, has won the best art in a cartoon competition organized to mock US President Donald Trump. 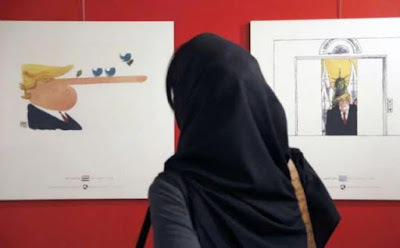 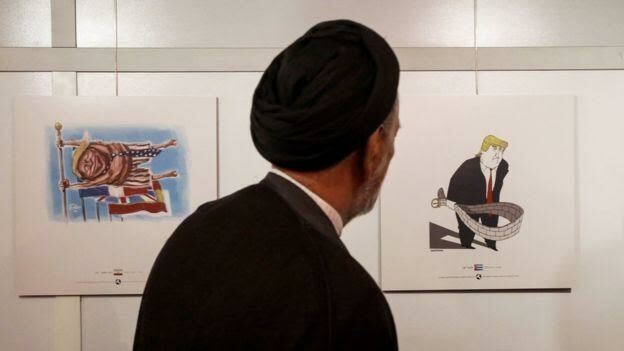 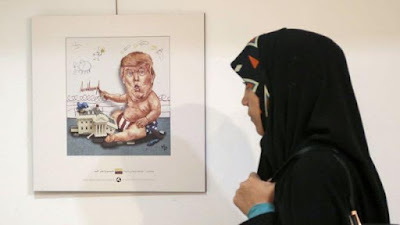 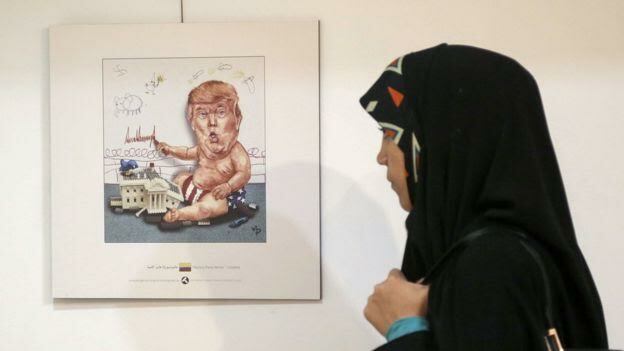 Hundreds of cartoonists from around the world were said to have taken part in the exhibition of the Islamic Republic's 2017 International Trumpism cartoon and caricature contest, which held in the capital Tehran on July 3, 2017, but it was Asadi whose cartoon was chosen from among 1,600 entries from 75 countries. 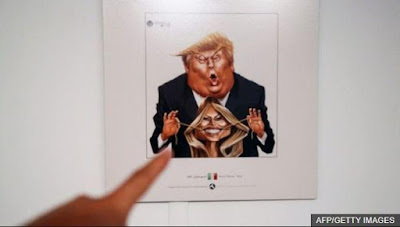 His winning image, shows the US president wearing a jacket of dollar bills and with burning yellow hair. 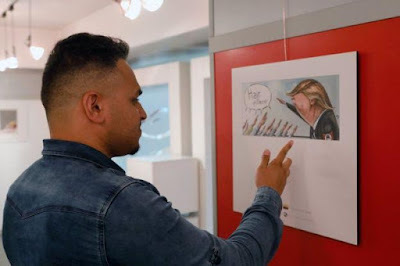 “I wanted to show Trump while trampling symbols of culture,” Asadi, who spent two weeks working on the cartoon, said. 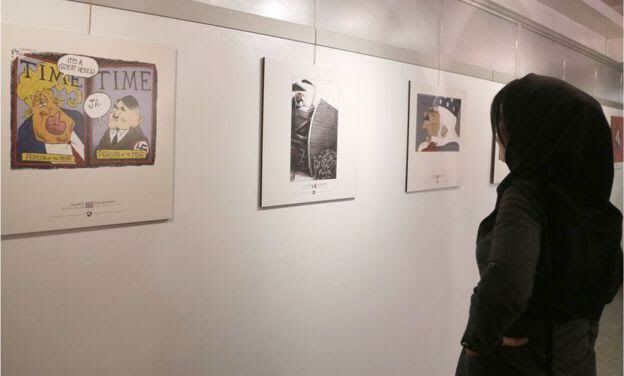 Two U.S. contestants were awarded for their entries. 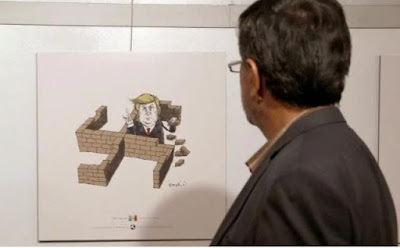 Robert Jones Clayton, again, compared Trump to Hitler while another cartoon by Ed Wexler showed the president being pursued by a snowball with a red hammer and sickle emblem on it—a reference to an ongoing investigation into Trump staff and their connections to the Kremlin. 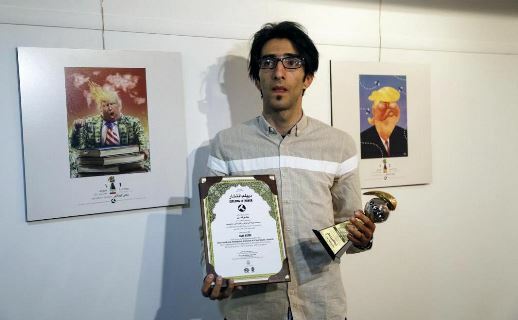 Hadi Asadi was given a trophy and an award with a cash prize of $1,500. See more photos from the cartoon contest below..